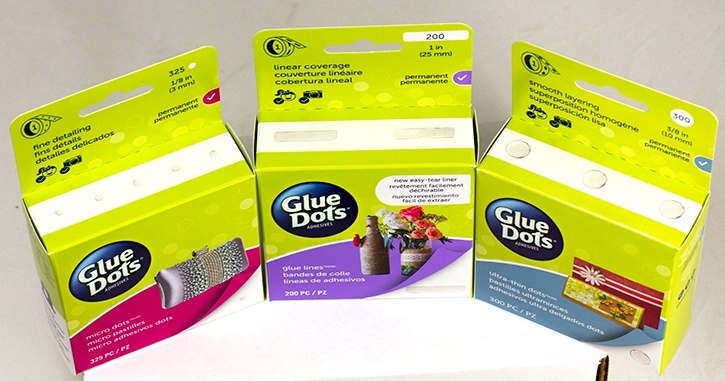 Glue Dots International introduced new packaging and a refreshed brand at the Creativation trade show for the craft and hobby industry this past January. 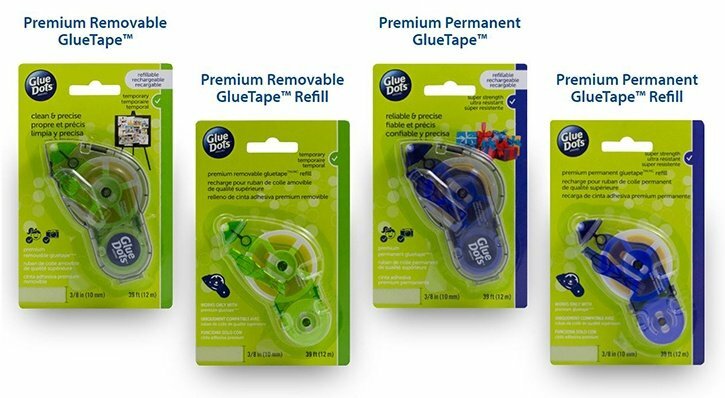 Glue Dots® new packaging began shipping out to retailers nationwide in January and will soon be showing up on store shelves near you. One of the biggest changes to our packaging is the return of the larger color swatches on the front. 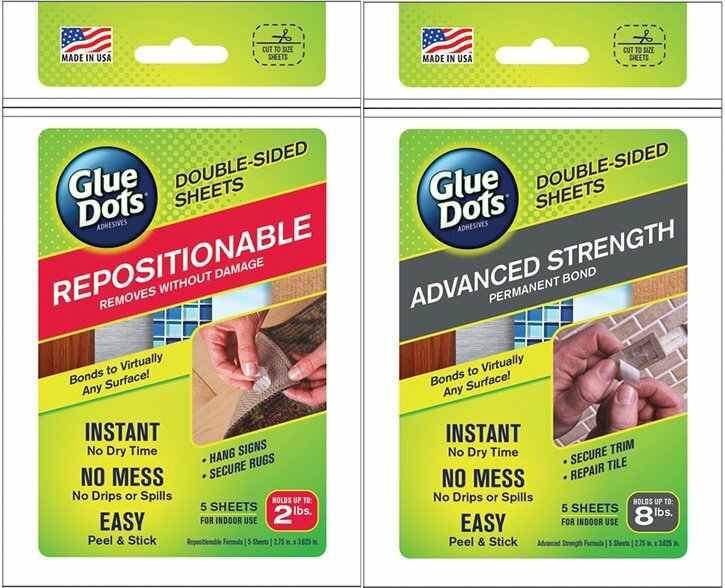 If you're familiar with Glue Dots products and the colors of the boxes you use the most, this change will make it easier to identify which Glue Dots product you are purchasing at a quick glance. We've also added live artwork to the front to help you visualize how that particular product can be used in your projects. We added two icons at the top of our packaging to indicate that our products are kid-safe and photo-safe. 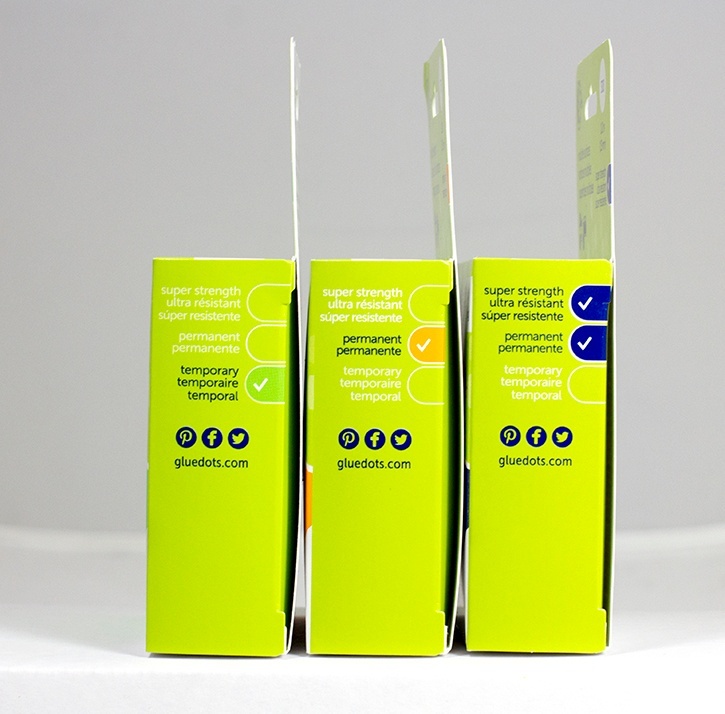 All Glue Dots products are non-toxic and mess-free, making them safe for the whole family. 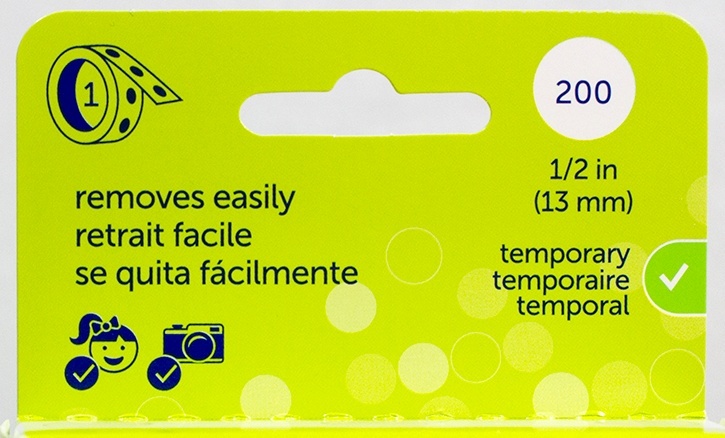 Also, we've added actual photographs of the adhesives along the top of the box of our rolled products and in the bottom right hand corner on the front of the packaging. 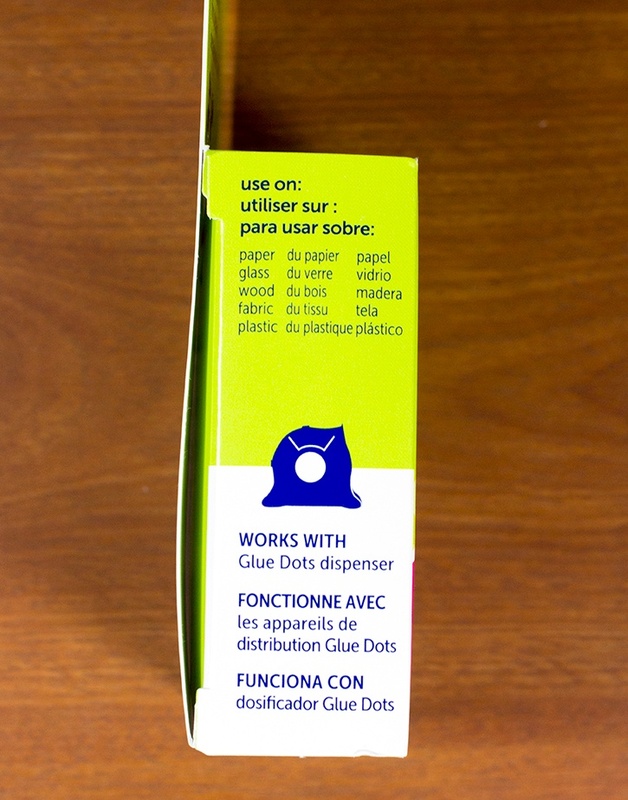 This shows you the exact size and shape of the Glue Dots adhesives contained inside. 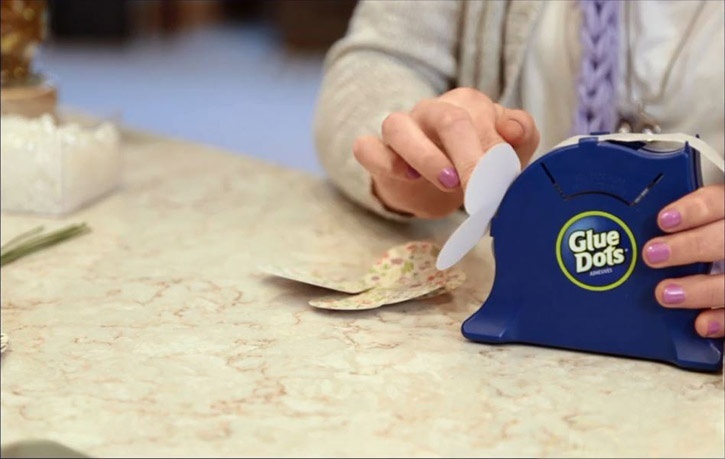 We recently redesigned our Glue Lines products, making all Glue Dots rolls compatible with the Desktop Dispenser. One of our favorite new features is the addition of a Strength Meter. This is designed to help you clearly identify which Glue Dots products to use for temporary holds or permanent applications. All of our mixed media adhesives, such as All Purpose Glue Dots® and Permanent Glue Squares®, top out on our Strength Meter at 'Super-Strength'. These adhesives are marked with both "Super-Strength" and "Permanent" on the strength meter, so you can craft with confidence knowing that you are using some of the strongest adhesives that Glue Dots has to offer. We love our new branding and our new packaging and we hope you do too! Please give us your feedback! Leave a comment below to tell us what you love about our new packaging, what you'd change, and what features you'd add! 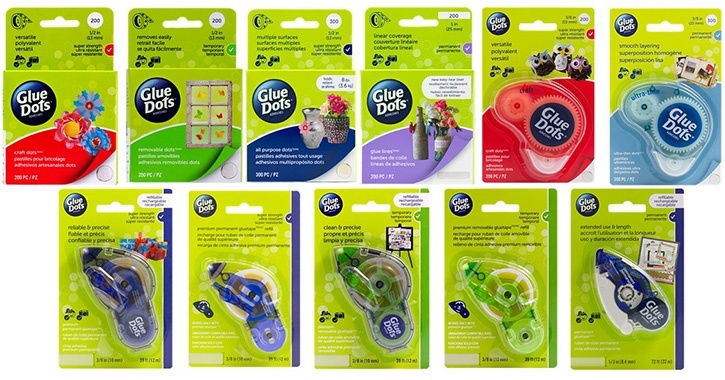 BIG NEWS: Glue Dots® are now available at Walmart!